Top marks for class of 2018 ! 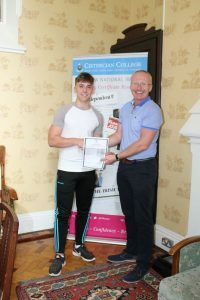 Students and parents of the Leaving Cert class of 2018 arrived at Cistercian College from early morning to collect their results. There were emotional scenes as students nervously opened their envelopes to read their results. The Principal and Deputy Principal of the College were there to meet the students and their parents and congratulate them on their achievements, including results that were in excess of 600 points. The College prides itself on providing a holistic curriculum of academic, co-curricular and sport and this enables the students in its care to develop fully. 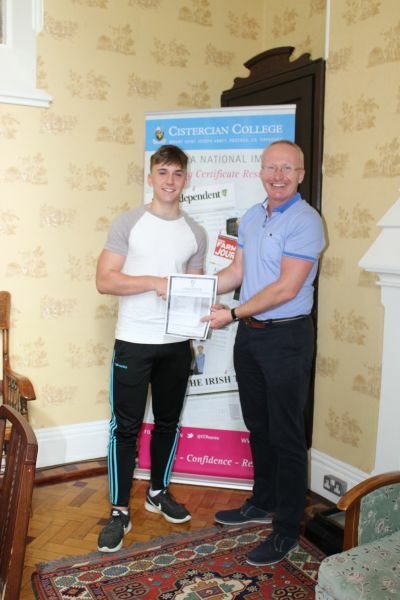 The vast majority of the class were confident that they will receive an offer of their first choice course, however this will be confirmed when the CAO publishes the offers on Monday. The College Management wish these students every success in their future careers and thank all of the staff who supported the students throughout their time in the College. They also thank this student group for the contribution that they made to the College while they were students there.